If seeing Yosemite on horseback isn't your thing, or if you've never been to the park, did you know that you can do one hike that encompasses nearly all of Yosemite’s iconic sights? This epic 12.6-mile hike includes a full view of Yosemite Falls from the only place in the park to see both the upper and lower falls in their full glory. Along the way you’ll also see El Capitan, Half Dome, Sentinel Rock, Illilouette Fall and Nevada Fall. The one-way hike begins from the Yosemite Valley, climbs up to Glacier Point via the Four Mile Trail, and then travels back down to the valley via the Panorama Trail and the famous Mist Trail. Great Smoky Mountains National Park will begin work on a road stabilization project to repair a slide area in North Carolina beginning Monday, January 5, through Wednesday, May 14, along Newfound Gap Road (NFG) approximately 1 mile south of NFG parking area, just south of the Deep Creek Trailhead. Park staff and Federal Highway Administration engineers recently documented the slide approximately 50 feet below the road corridor. Crews will reinforce the slope to stabilize the road embankment and to prevent slope failure or erosion along the road shoulder. The restoration work will include retaining wall construction, road reconstruction, stone masonry guardwall construction, guardrail placement, shoulder reconditioning, installation of culverts and inlets, and site restoration. Traffic lanes will be temporarily shifted onto the road shoulder throughout the duration of the project to maintain two-way traffic; however, single lane closures will be required intermittently primarily during the construction of the temporary lane. The parking area adjacent to this slide area will be closed, but the small pulloff for the Deep Creek trailhead will remain open. Phillips and Jordan, Inc. was awarded the contract for the project through a competitive bid process. The primary geotechnical subcontractor is Goettle, Inc. Contractors are authorized to conduct operations 24 hours a day, 7 days a week. This new slide is not related to the slide that took place during the heavy rains of last January. For more information about road conditions, please visit the park’s website or call the park’s Road and Weather Information Line at 865-436-1200. In the past two years, hikers in North Carolina have joined rangers and volunteers to walk more than 6,000 miles on state park trails Jan. 1. There will be more than 40 scheduled hikes ranging from short “leg-stretchers” to four-mile treks, many of them offering interpretive programs along the way. All state park facilities will remain open on the holiday. This year’s event will be the first of many First Day Hikes at the new Carvers Creek State Park, which opened in September in Cumberland County. Lake James State Park will hold a hike along new sections of its Paddy’s Creek Trail, and families can enjoy self-guided hikes on the new Holly Discovery Trail, which has won a national award for environmental education. A walk alongside the ocean at Hammocks Beach State Park has always been a popular favorite, and at Weymouth Woods Historic Nature Preserve, hikers will visit the world’s oldest known longleaf pine. Also, the Eno River Association will offer long and short hikes as part of a decades-old tradition at Eno River State Park. 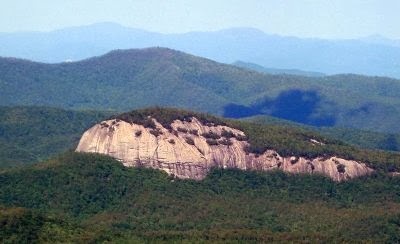 Details about all First Day Hikes in North Carolina can be found here. 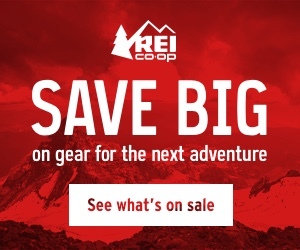 50% off New Styles MARMOT!! 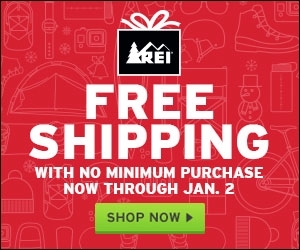 Free Shipping over $49!! RockCreek.com. Click here for details. 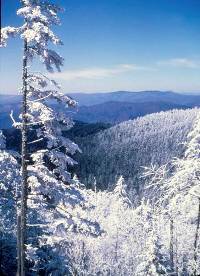 If you're considering a visit to the Great Smoky Mountains this winter, please help support HikingintheSmokys.com this season by supporting the sponsors on our Accommodations page. Tennessee State Parks will sponsor free, guided hikes on New Year’s Day. Each state park will host its own special hike in the first few days of the New Year as part of the quarterly hikes program. From Reelfoot Lake to Fall Creek Falls to Warriors’ Path and every state park in between, the 2014 First Hikes are designed for all ages and abilities. 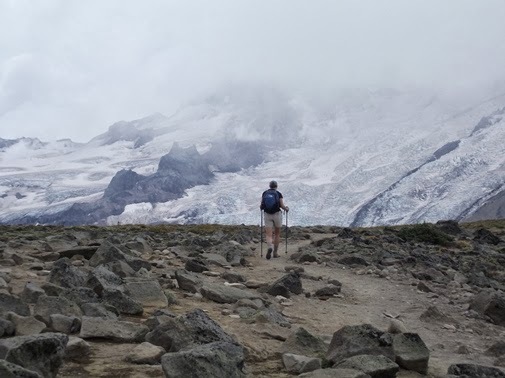 Some hikes will be approximately one mile in length and tailored for novice hikers, while others are lengthier and geared toward more experienced hikers. For a more in-depth look into planned First Hikes in your area, please click here. Tennessee State Parks’ First Hikes of 2014 are part of America’s State Parks First Day Hikes initiative in all 50 states. America’s State Parks First Day Hikes offer individuals and families an opportunity to begin the New Year rejuvenating and connecting with the outdoors by taking a healthy hike on January 1, 2014, at a state park close to home. Tennessee’s 54 state parks offer diverse natural, recreational and cultural experiences for individuals, families, or business and professional groups. State park features range from pristine natural areas to 18-hole championship golf courses. The Tennessee State Parks system was established through legislation in 1937. Today, there is a state park within an hour’s drive of just about anywhere in the state, with features such as pristine natural areas and a variety of lodging and dining choices. 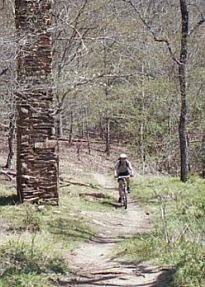 For more information about Tennessee State Parks, please visit www.tnstateparks.com. 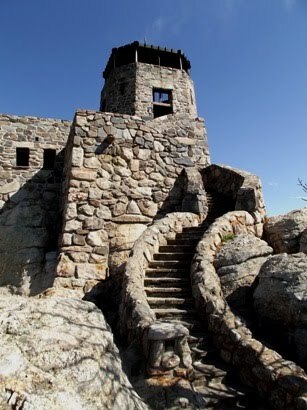 Not only does Harney Peak offer outstanding views of the Black Hills, and the chance to stand atop the highest point in South Dakota, but it also allows hikers the opportunity to visit the old stone fire tower that sits atop its summit. It was built by the Civilian Conservation Corp in 1939, and was used as a fire lookout for several decades. Visitors are now free to explore this castle-like structure. For more information and photos on this outstanding hike, please click here to visit our new Discover the West website. Here's a reminder that winter lingers much longer in the mountains, and that weathermen don't always get their predictions right. This video made by a couple of hikers highlights their trek up to Mt. Leconte via the Rainbow Falls Trail last March. The hikers experienced a little more snow than what they were expecting - 18 inches atop of Leconte. 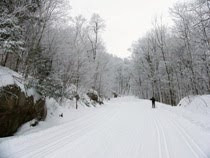 Beginning Monday morning December 30, 2013, and continuing for a four week period, Blue Ridge Parkway maintenance personnel will be conducting cutting operations along the roadside. During this time, both lanes of the Parkway in this section will be closed to all activity (cars, bicycles, and hikers) for the safety of the maintenance workers as well as Parkway visitors. 50% Off!! RockCreek.com Down Jacket Closeouts! Patagonia, Marmot, North Face and more! RockCreek.com. The U.S. Forest Service Nantahala Ranger District will seasonally close certain roads from Jan. 2 to April 1, 2014. During this period, the roads are susceptible to freezing and thawing, and they become very soft and easily damaged by traffic. The following roads will close during this period: Boardtree (#388), Upper Nantahala (#67), Deep Gap (#71), Shingletree Branch (#713), Shope Fork (#751), Ball Creek (#83), and Connelly Creek (# 86 through Alarka-Laurel), Wayah Bald (# 690), Little Yellow Mountain (#367), Big Creek (#4567), Cold Spring Gap (#4663), Moses Creek (#4651), Old Bald Rd (#4652), Sugar Creek (#4665), Gage Creek (#4648), Wolf Mountain( #4663C), Charley Knob (# 4654), Beech Flats ( 4668). 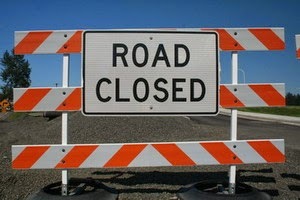 Winespring/Whiteoak (#711) will be left open as long as weather conditions will permit. In addition, the Wayehutta Off Road Vehicle area was closed Dec. 15, 2013. Other Federal land management agencies that will offer fee-free days in 2014 are: U.S. Fish & Wildlife Service, the Bureau of Land Management, the Bureau of Reclamation, the U.S. Forest Service and the Army Corps of Engineers. Please contact each for details. The dates have been set for one of the premier annual events in Great Smoky Mountains National Park. The 24th annual Wilderness Wildlife Week, an eight-day event that focuses on the Great Smoky Mountains and the outdoors in general, will take place January 25 thru February 1st. Many of this year's programs, all of which are free, will be held at the LeConte Center At Pigeon Forge, the City of Pigeon Forge’s brand new state-of-the-art events center. On tap this year are several hundred workshops, lectures, panel discussions, mini-concerts, hikes and excursions to America’s most visited national park. While the vast majority of Wilderness Wildlife Week programs are indoors, there are 46 hikes and excursions on the this year's calendar. They range from a photo trek in Cades Cove, to a three-mile walk through the Elkmont historic district, to a strenuous 14-mile hike to Rocky Top. Round trip transportation to the trailheads will be provided for each hike. Many of the programs are brand new for 2014, and the lineup is different each day. For example, the hands-on photography series Smokies Through the Lens is now a three-day series of programs with courses for all skill levels. This special series of weekend programming will take place on Saturday, January 25, Sunday, January 26, and Saturday, February 1st. Wilderness Wildlife Week, named 10 times as a Southeast Tourism Society Top 20 Event, is part of Pigeon Forge Winterfest, which starts in November and continues through February. Details on Wilderness Wildlife Week, including the program schedule and hike information can be found by clicking here. For more information on many of the hikes included on this year's schedule, please click here. To find accommodations in the Pigeon Forge area, please click here. Half Dome "presents an aspect of the most imposing grandeur; it strikes even the most casual observer as a new revelation in mountain forms; its existence would be considered an impossibility if it were not there before us in all its reality..."
The Sentinel Meadow & Cook's Meadow Loop hike is the perfect way to experience the Yosemite Valley. 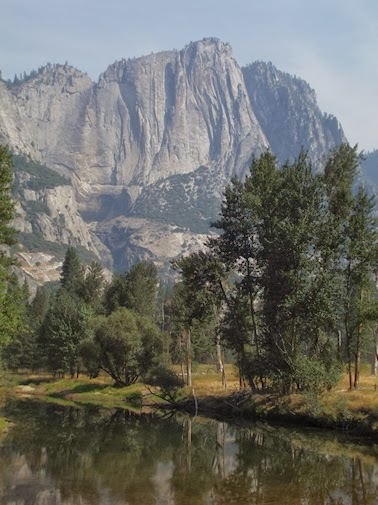 The loop hike offers a variety of attractions, including lush meadows filled with wildflowers, wildlife, and outstanding views of El Capitan, Yosemite Falls, Sentinel Falls and Half Dome. For more photos, and to learn more about this short easy hike, please click here. Start the new year off on the right foot by taking a First Day Hike in a state park near you. 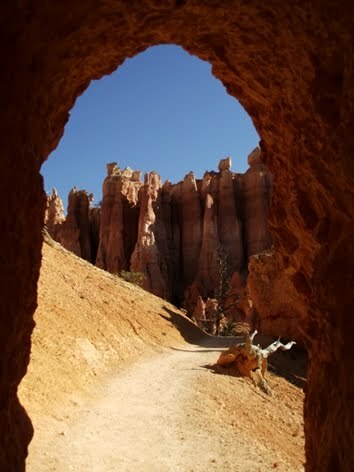 All across the country state parks will once again be offering guided First Day Hikes on New Year’s Day 2014. The idea for First Day Hikes originated over 20 years ago at the Blue Hills Reservation State Park in Milton, Massachusetts. The program was launched to promote both healthy lifestyles throughout the year and year round recreation at state parks. Many other states have offered outdoor recreation programs on New Year’s Day, however, all 50 state park systems have now joined together to sponsor a range of First Day Hikes. This year, for the first time, the American Hiking Society has joined America’s State Parks in support of their First Day Hikes program. So far more than 400 hikes in all 50 states have been scheduled for this years events, with numerous options for a First Day Hike in the Great Smoky Mountains region. You can find a First Day Hike by clicking here. One of my social media contacts recently forwarded this video to me. It documents his hike to the Mt. Cammerer Fire Tower with his family earlier this fall. The 6-mile hike from Cosby to Mt. Cammerer (click here for addl hike info) provides some outstanding views of the eastern Smokies. 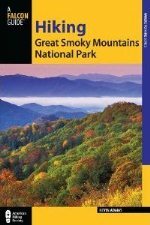 To see our full library of hiking and travel guides for the Great Smoky Mountains, Blue Ridge Parkway, Appalachian Trail and the surrounding Southern Appalachian region, please visit our Amazon store by clicking here. The National Park Service is starting the process of preparing a Foundation Document for planning and management for the Appalachian National Scenic Trail. The trail would like to invite the public to join in this effort. A Foundation Document involves revisiting a national scenic trail's core purpose and significance, most important resources and values, and the interpretive themes that tell the trail's important stories. Although the Foundation Document is not a decision-making document and does not include actions or management strategies, it describes a shared understanding of what is most important about the trail. In this capacity, the Foundation Document will reestablish the underlying guidance for future management and planning decisions for the Appalachian National Scenic Trail. Because many of the trail's original planning documents are out of date, preparing the Foundation Document is the first step for considering the trail's future planning and study needs. The National Park Service invites you to play a role in charting the trail's future by sharing your thoughts on what is most important about the Appalachian National Scenic Trail, and to help identify its most pressing threats and its greatest opportunities. Trail staff will take your thoughts and feedback into consideration as they prepare the Foundation Document. You may submit your feedback from December 9, 2013 to January 9, 2014 by responding to five questions about the trail's significance, threats, and opportunities. Great Smoky Mountains National Park will host the 38th annual Festival of Christmas Past celebration tomorrow, December 14th, 10:-0 am to 4:00 pm, at the Sugarlands Visitor Center. The event, sponsored in cooperation with Great Smoky Mountains Association, is free to the public. On Saturday, December 21, Great Smoky Mountains National Park will host a Holiday Homecoming at the Oconaluftee Visitor Center where children and adults will have an opportunity to learn about and experience some of the traditions surrounding an Appalachian Christmas. Park staff and volunteers will provide hands-on traditional crafts and activities from 10 a.m. to 12 p.m. and from 1 p.m. to 3 p.m. the park will host the monthly acoustic old time jam session. 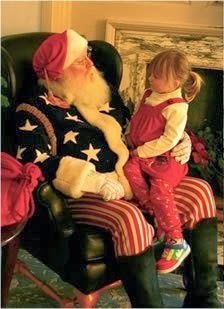 The visitor center will be decorated for the holiday season and will include an exhibit on Christmas in the mountains. Hot apple cider and cookies will be served on the porch and a fire will be in the fireplace. All activities are free and open to the public. Support of this event is provided by the Great Smoky Mountains Association. The Oconaluftee Visitor Center is located on Newfound Gap Road (U.S. Highway 441), two miles north of Cherokee, N.C. For more information call the visitor center at (828) 497-1904. 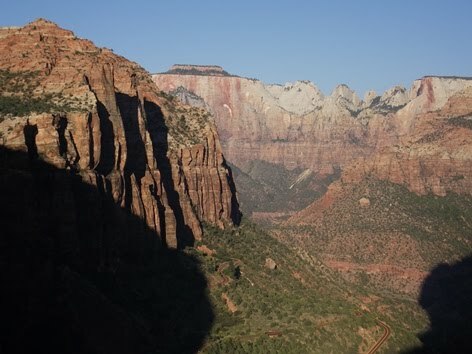 Zion Canyon Overlook: Don’t bypass this one! The National Park Service Southeast Region in Atlanta has announced that Pedro Ramos has been selected as the acting superintendent of Great Smoky Mountains National Park for 90 days, effective January 12, 2014. Ramos has been the superintendent at Big Cypress National Preserve since 2009. In September, the current superintendent of Great Smoky Mountains National Park, Dale Ditmanson, announced his plans to retire on January 3, 2014, after 36 years with the National Park Service (NPS). Ditmanson has served as superintendent there since May 2004. Born in San Juan, Puerto Rico, Ramos attended the University of Massachusetts in Amherst where he graduated with a bachelor of science in 1990. He began his Federal career with the U.S. Department of Agriculture, Farmers Home Administration, in Vermont. In 2001 Ramos transferred to the National Park Service as Administrative Officer at Big Cypress National Preserve. In 2005 he was named Deputy Superintendent there and devoted much of his time to establishing strong community relations with the many partners in South Florida. His career has also included acting superintendent assignments at Jimmy Carter and Andersonville National Historic Sites in Georgia, and San Juan National Historic Site in Puerto Rico. In one of the drops Mark Hardingham is pushed offline and becomes 'vertically pinned' with his body trapped and his head held underwater by the current! This GoPro clip shows the reactions of his friends who pull him out of this sticky situation just in time. Although the winter season is already upon us, we shouldn't use it as an excuse to NOT go hiking. It all comes down to being prepared and knowing how to dress properly. Below is a pretty good video demonstrating how you should dress when venturing out on a winter hike. Although the spokesman doesn't mention it, you should always have an extra pair of socks in your pack, just in case the ones you're wearing get wet. An extra pair of gloves aren't a bad idea either, not to mention an emergency blankets and the ability to start a fire. Tennessee Governor Bill Haslam, along with leaders from the Tennessee Department of Environment and Conservation, Tennessee Wildlife Resources Agency, U.S. Fish and Wildlife Services and the Tennessee Parks and Greenways Foundation will be officially dedicating the purchase of Virgin Falls State Natural Area tomorrow, December 11th. Through the support of a number of private/public partnerships, the state acquired the land in November 2012. Prior to that, Virgin Falls had been under private ownership, but managed by the state as a natural area for nearly 40 years. Working closely with the Tennessee Parks and Greenways Foundation, the state of Tennessee was able to purchase the 1,551-acre parcel near Sparta through a combination of funds from the U.S. Fish and Wildlife Service, Tennessee Wildlife Resources Agency and private donations. The dedication will take place at Welch's Point in the Bridgestone Firestone Wilderness, on Welch Cemetery Road in Sparta. Directors: From I-40 in Cookeville, take Exit 288. Drive south on TN 111 for 14.1 miles; turn left on US 70E. Drive 10.8 miles east through Sparta to Easland Road. Turn right and drive south for 5.8 miles to Scott's Gulf Road. Turn right; drive 2.1 miles, passing Virgin Falls trailhead parking lot, and turn right on Welch Cemetery Road. Dedication is 2 miles ahead. 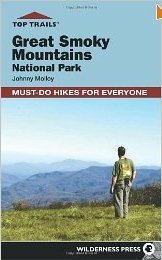 Trying to decide which hiking guide to purchase for the Great Smoky Mountains? Below is a quick reference guide that compares the most popular hiking guides for the National Park. * Recommendations based on best views, nature lovers, history hikes, waterfalls etc. * Recommendations based on winter, solitude, easiest, wildlife, and most scenic hikes, etc. a.k.a "The Little Brown Book"
Earlier this fall Western Carolina University announced that it's Hunter Library will be producing a new digital collection of 2,000 items focused on the history of Great Smoky Mountains National Park - with support from a $93,000 grant from the North Carolina State Library. This digital collection and interpretive website will include documents and photographs that relate to the initial idea and construction of a national park in the eastern United States, said Anna Fariello, associate professor of digital initiatives with Hunter Library. The materials will focus on a group of North Carolinians who promoted the idea of a park as early as 1899, the efforts of private individuals such as Horace Kephart, whose papers contain many never-before-seen materials that promote a park, and people involved in federal programs, such as the Civilian Conservation Corps, who actually built the park. Highlights will include journals Horace Kephart assembled in preparation for his book, “Camping and Woodcraft,” images of the park’s construction and photographs of life in the Civilian Conservation Corps, and Appalachian National Park Association records. Grant funding will support staff of the library’s digital production team and will enable the purchase of a new scanner that has the capacity to digitize items up to 2 feet by 3 feet and items currently too fragile to scan. Fariello applied for the grant for the project after learning that a comprehensive history of the park had not been published online and that the park had historical items that are not exhibited. Fariello said the library collaborated with the park on a recent digitization project, “Picturing Appalachia” and gained a better understanding of the park and its history. For more information, please visit the Hunter Library website. The last week of November was a busy one for rangers in Great Smoky Mountains National Park. During that time period, rangers dealt with three serious medical incidents, two of them requiring carryout evacuations by interdivisional litter teams. Late on the night of November 22nd, park dispatch received a report from the concession-run lodge on Mt. Le Conte that a visitor had suffered a head injury after falling down a steep embankment and that the woman had become combative during attempts to render aid. Rangers Brad Griest and Mark Eckert hiked through the night, arriving at the lodge around 6 a.m. Air rescue was impossible due to high winds, so a carryout litter team was assembled that consisted of 16 employees from three divisions. The team arrived at the trailhead with the woman just after 4 p.m. She was transferred to an ambulance and transported to an area hospital. Supervisory Park Ranger Bobby Fleming was incident commander. Rangers Jamie Sanders, Ryan Rohr and Steve Spanyer responded to an accident on the Cades Cove Loop Road on November 26th. They found that a 48-year-old woman had suffered an open humorous fracture with uncontrolled arterial bleeding. The rangers applied a combat application tourniquet (CAT) and provided basic life support until an ambulance arrived 35 minutes later. Weather conditions prevented air evacuation, so she was taken by ambulance to the University of Tennessee Medical Center, where she’s expected to make a full recovery. Emergency room doctors reported that the timely application of the CAT saved the woman’s life. CAT tourniquets had been issued to all park law enforcement rangers as part of special tactical EMS kits for personal use in event of a severe trauma. Early on the afternoon of November 30th, dispatch was notified of a hiker with a possible broken leg on the Alum Cave Trail. A rescue team consisting of 15 employees from two divisions responded. The litter evacuation included a short technical lowering. The litter team reached the trailhead just after 9 p.m. The injured man was transported to an area hospital, where x-rays confirmed that he’d suffered fractures of the tibia and fibula. Rescue operations were complicated by temperatures in the single digits as well as ice and snow on the trail. Supervisory Park Ranger Bobby Fleming was incident commander. The Sunrise area of Mt. Rainier National Park offers big expansive views of the park’s star attraction, 14,410-foot Mt. Rainier. There’s no better way to experience the area than a hike along the Burroughs Mountain loop trail. This hike offers outstanding 360-degree panoramic views as you walk along the alpine tundra plateaus of Burroughs Mountain. From the summit you’ll have up-close views of Mt. Rainier’s impressive east face, as well as the largest glacier in the lower 48, the Emmons Glacier. For more information and photos on this Rainier classic, please click here. U.S. Forest Service fire managers announced this morning that the Table Rock wildfire in the Linville Gorge is now 100 percent contained. Recent precipitation helped suppress the wildfire. The gorge and its trails are now open to the public. Visitors should use caution when in the gorge as there may be hazard trees or other conditions that pose safety risks. Forest Service personnel will soon begin any rehabilitation efforts needed in the area. Law enforcement officials continue to seek a person of interest (see photo on right) who may have information related to the cause of the fire. The cause of the fire is still under investigation. The wildfire, which started on November 12th, burned 2,579 acres. The Linville Gorge Wilderness is located in the Grandfather Ranger District of the Pisgah National Forest. A new National Park Service regulation goes into effect by the end of January 2014 that will allow visitors to ride bicycles on about 65 miles of existing trail in the New River Gorge National River. This includes the Long Point Trail, the Timber Ridge Trail, the 7-mile Southside Trail, the 8.6-mile Kaymoor Trail, and the 13-mile Arrowhead Trail. Other park trails will remain open only to pedestrians. More information on trails and biking opportunities in the New River Gorge National River is available at park visitor centers and on the park website. Bicycle use in units of the National Park Service is generally prohibited unless park managers follow special procedures to open designated trails for bikes. These procedures include analyzing the environmental impacts of bicycle use in the park and offering opportunities for public comment. The New River Gorge National River initiated the procedures in 2009, which have included three opportunities for public input and comment. Notification of this regulation was forwarded to the Federal Register on Monday. What’s the definition of a great survival story? Some of the obvious answers to that question include, coming face to face with death, an unbelievable escape, or, because of fate or just plain dumb luck, an individual was able to survive some extreme disaster. For me, my list of the top five survival stories of all time is based on two criteria: a convincing story of human perseverance and an iron will to survive, and the author’s ability to tell the story in a compelling manner which keeps me on the edge of my seat. Ever since The Long Walk was published in 1956, the authenticity of the story has been challenged. Unfortunately Rawicz was never able to provide any documentation to prove his story. However, it does seem that the general consensus among most critics is that the story is mostly true, but, possibly embellished. It’s even possible that the embellishment occurred at the hand of his English speaking ghost-writer. For an interesting perspective on the veracity of the story from someone who retraced the steps of Rawicz in 2004, and who came to believe the story to be true, please click here. In order to make their way to freedom the escapees marched 4000 miles, on foot, across the frozen Siberian tundra, the Gobi Desert, through Tibet, and over the Himalayan Mountains to British India. Along the way they conquered fatigue, thirst, starvation as well as their own inner demons. The story is also famous for the claim that the surviving escapees saw a pair of yetis while traversing the Himalayas. In March 1943 a team of four expatriate Norwegian commandoes, including Jan Baalsrud, sailed from England to Nazi-occupied Norway to organize and supply the Norwegian resistance. I remember reading Jon Krakauer’s original article on the infamous Mt. Everest disaster in Outside Magazine and being completely astounded by what occurred on that mountain that day. And then, a year later, he published his bestseller, Into Thin Air, which fleshed out many more details of the ill-fated expeditions that left eight people dead that day. Although several books and articles have been written, Into Thin Air would become the definitive account of the deadliest season in the history of Mt. Everest. The most amazing aspect of the story centered around Beck Weathers. Twice abandoned and presumed to be dead on the South Col, Weathers spent some 18 hours in subzero temperatures - in the death zone - before miraculously regaining his senses and staggering into camp. He was suffering from severe frostbite, corneal lacerations, hypothermia, and had a face so badly frostbitten it barely seemed human. Over the course of the next year Weathers underwent ten surgeries, the longest lasting 16 hours. His entire right hand and most of his left was amputated; surgeons were able to fashion a thumb out of muscle from his side and back. I must admit I was pretty apprehensive about reading this story in detail. I was quite familiar with the basic facts of the story: a plane carrying a Uruguayan rugby team crashes in the Andes Mountains; many on board are killed, and after several weeks without rescue and a few failed attempts to walk off the mountain, the survivors are forced to resort to cannibalism. My apprehension, as you might suspect, had to do with the cannibalism aspect of the story. It just seemed too disturbing to me. Although he suffered a fractured skull, was unconscious for three days after the crash, and was presumed to eventually succumb to his injuries, Parrado was able to revive. After several weeks of recovery he eventually devised a plan and led a team over the 17,000-foot peak that trapped the survivors on a glacier, and marched ten days to rescue and freedom. Before the expedition was able to reach the continent, their ship, the Endurance, became stuck in an early ice floe in the Weddell Sea. The crew of 27 had no means of communication or hope of outside help, thus condemning themselves to isolation for the next 22 months. 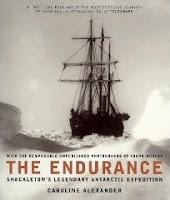 The men lived within the bowels of the Endurance for almost a year before the ice destroyed it, forcing the expedition to move out onto the frozen sea. Several months later, the expedition built sledges and moved to Elephant Island, a rocky deserted spot of land just beyond the Antarctic Peninsula. At this point no one knew what happened to the expedition or where they were. Most people assumed they had been killed. 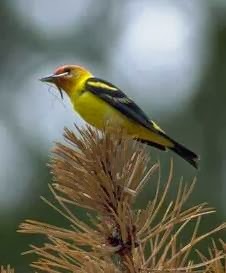 Since 1900, the National Audubon Society has led the charge in counting birds during the annual "Christmas Bird Census" across the U.S., Canada and many other countries in the Western Hemisphere. It's longest-running citizen science survey in the world! From December 14th through January 5th, tens of thousands of volunteers will take part in an adventure that has become a family tradition among generations. Families and students, birders and scientists, armed with binoculars, bird guides and checklists go out on an annual mission - often before dawn. For over one hundred years, the desire to both make a difference and to experience the beauty of nature has driven dedicated people to leave the comfort of a warm house during the Holiday season. Audubon and other organizations use data collected in this longest-running wildlife census to assess the health of bird populations - and to help guide conservation action. If you would like to participate this year, please click here. 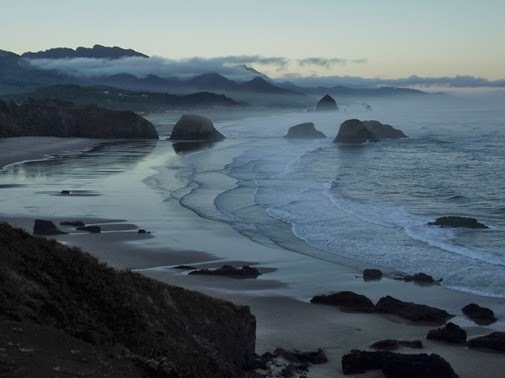 For many years the Oregon Coast has been near the top of my bucket list of places to see. Based on the hundreds of photos I’ve seen over the years I knew there were numerous spectacular places to visit. Whenever I looked at a map of Oregon I was always amazed by the number of state parks that line the coast from top to bottom. When we finally arrived at Cannon Beach back in early September of this year, it was the first time I’d ever laid eyes on the Pacific Ocean. Perhaps my reaction was similar to that of the Lewis and Clark Expedition. When they arrived on the coast in November of 1805, William Clark noted in his journal: "Ocian in view O! The Joy!" I posted two blogs on our new Discover the West website that describes and shows some of the amazing sights we saw along the north coast and the southern coast.